Califon Borough, some say originally named for California but shortened to Califon to fit on the sign at the town’s railroad station, is still a town small enough to forgo a traffic light. Originally a stop on the High Bridge Branch of the Central Railroad of New Jersey, the rail line was abandoned in 1976 and now serves as part of the Hunterdon County administered rail trail known as the Columbia Trail. The Borough was incorporated in 1918, is 1 square mile in size and has a population of 1,053. The South Branch of the Raritan River flows through town and vintage homes dot its shore. 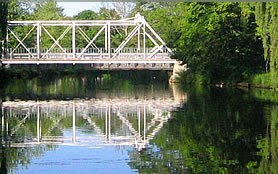 Fishermen flock to Califon for the trout, but there's no fishing from one of the region's few remaining 19th century wrought-iron truss bridges located in the heart of the village. 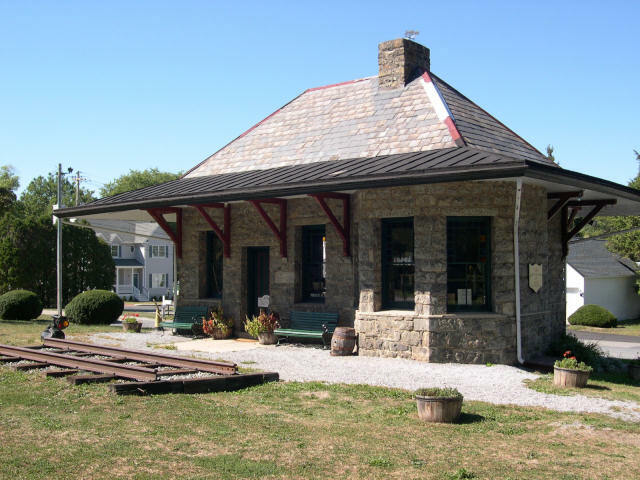 The Califon Historical Society has registered some 170 structures with the National Register of Historic Places. The structures in this Victorian-style enclave are marked with the names of the builders and their dates of establishment rather than with street numbers. There are many contemporary businesses housed in the vintage buildings including an art gallery, mosaic shop, a market, hardware store, book shop and combined flower, antique and gift shop. Califon shares a post office with a portion of Tewksbury Township which is why when searching for information on Tewksbury, Califon will frequently show up. The incorporated township of Tewksbury is home to some of the most expensive real estate in Hunterdon County and has several hamlets including Fairmont, Vernoy, Mountainville, and most notably, Oldwick. Horse farms are common in the Township along with an extensive trail system winding through the countryside. When visiting, don’t miss a stop at the Oldwick General Store or lunch or dinner at the Tewksbury Inn.